$25 off repairs totaling $150 or more in labor expenses. $49.95 Complete Vehicle Health Check! At Jerry Lambert Automotive, we’re proud to service every range of vehicle and model on the road. Our technicians are both ASE-certified and well-trained in all varieties of vehicle, from newer companies to some of the old standbys that have been producing great cars for decades or even centuries. In this latter category is Mitsubishi, which introduced Japan’s first passenger production car over 100 years ago in 1917. This vehicle, the “Model A,” was the first of what would grow into one of the largest international auto brands on the planet. 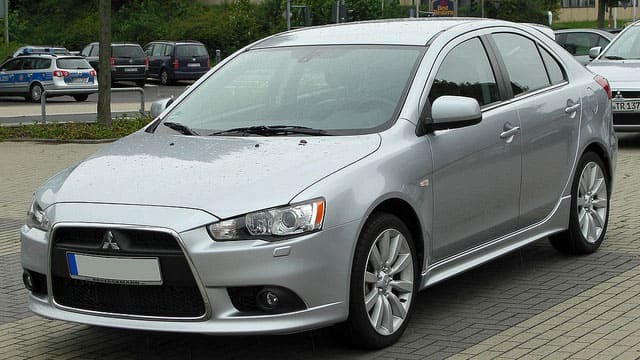 Mitsubishi now offers a wide variety of models, including the Galant, Lancer, Eclipse, Outlander, Mirage, Endeavor and several others. At Jerry Lambert, we have a similarly storied history. Our shop opened nearly 60 years ago in 1959 as Lambert Service, a full-service gas station that counted a family atmosphere and personalized service as our foundations. Today, we’re one of the largest and most trusted auto mechanic shops in all of Utah. Our high-quality mechanics are a big part of this, but they’re not the only element. We continue to emphasize personal service as our bedrock as a family business, meaning you’ll instantly be greeted and assisted by a friendly customer service representative who can guide you through our entire service process. We’ll ensure the services our technicians perform is always transparent, informing you in advance of any big issues or costly fixes that might be required. We aren’t a consistent A+ with the Better Business Bureau for nothing, after all. To find out what makes us so special, whether for Mitsubishi service or any other vehicle make or model, call us at Jerry Lambert Automotive today or stop by our central location – perfect for drivers across Salt Lake City and into Murray, Riverton, West Valley City and many other surrounding areas.